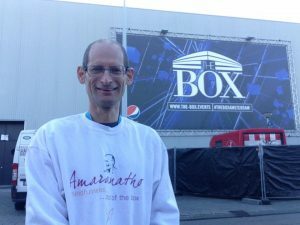 Amaranatho was a Buddhist Monk for 15 years and disrobed in 2015, so that he can concentrate on what he enjoys most, helping and serving people. As a young adult Amaranatho worked as a technical support manger for a computer company, he worked hard to get a degree in Artificial Intelligence and has been a world explorer. This experience gives Amaranatho the perfect balance and understanding of life. What he shares is based on cutting edge science, ancient wisdom and creative multi-media. Amaranatho is interested in the interpersonal aspect of mindfulness and how we can use our daily interaction with people to develop emotional resilience, kindness and peace. His work has brought him in contact with corporate organisations, educational establishments, families and young people. 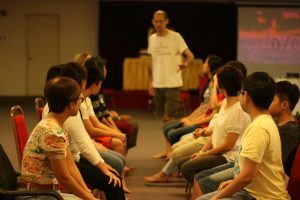 He has run over one hundred retreats, workshops, and public talks around the world, impacting thousands of people. He also works one to one with people from many different backgrounds to explore how to transform suffering into a full and rich life. He has trained in many different modalities both for his personal development and to support people that he works with. Although he keeps his Buddhist name his work is secular. He travels between Kingston-upon-Thames where he was born and Holland. Am I part of any religious organization? What ethics do I follow? I have been in supervision for nearly ten years. When I was Western Australia, I also had a senior psychotherapist supervisor for my work there.